31 years of success, more than 10’000 explosive live acts and one of Spain‘s most eclectic nightlife spots… this is Café Central, located in downtown Madrid. Opening its swinging doors in the summer of 1982, Café Central has quickly established itself as one of Madrid most visited music venues. Target at locals at first, the café hosted performances by some of the country’s most successful artists. After years of discreet success, the Café Central rethought its philosophy because of the willing to become one of Europe’s most prominent jazz spots. It was in 1988 the things started to turn around. 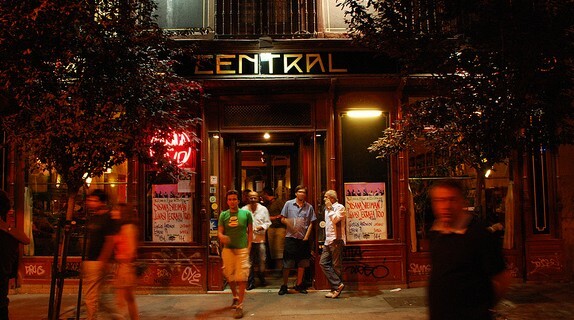 Starting from then, Café Central opened its doors to a several international, earning the reputation of one of Spain’s finest jazz venues. Performances by international jazz musicians like American pianist Don Pullen, saxophonist George Adams, Randy Weston, the Italian Paolo Fresu Quintet and Swedish bass player Palle Danielsson. The number of visitors, both ‘Madrileñi’ and tourists is constantly increasing, same for European and American acts that while touring in Spain decide to perform at Café Central. In February 1991 the prestigious British magazine Wire ranked Café Central as the 8th best European jazz club. Downbeat Magazine has also included the Madrid-based nightlife joint in its ‘150 Great Jazz Venues’ list. The informal art deco located close to the Plaza del Angel has nowadays considered one of the country top-class jazz venues. Stop by and enjoy warm and friendly atmosphere, taste one of the chef’s delights, have a glass of wine, and get ready for incredible live performances. Café Central, a historical place presenting some of the world’s best musicians.